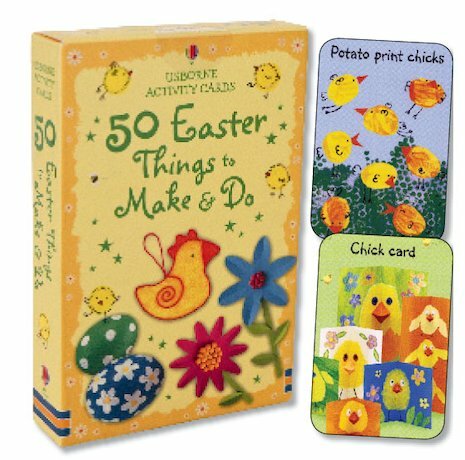 Swing into spring with fun activity cards bursting with Easter surprises. Decorate eggs, make pop-up chicks or bake a yummy cake! Or why not wear a bright Easter crown, or hang a garland from the ceiling? Each idea in this fresh little set of activity cards is inspired by Easter-time, and comes with easy instructions and colour pictures to get you started. With fifty cheerful suggestions to perk you up whatever mood you’re in, it’s time to celebrate Easter! easter things to do at last i cant find them anywhere !!!!!!! !